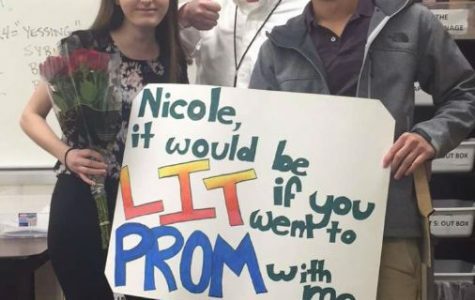 Check out some of this year's promposals. 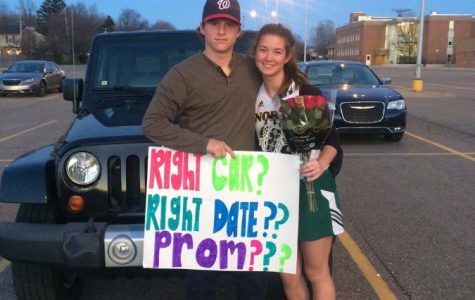 Senior Tristin Richardson asked senior Mara McMann after her home lacrosse game. 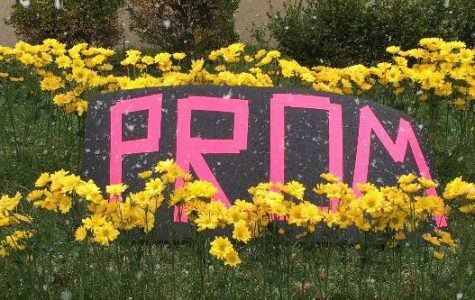 Senior Emily Brown Baker was asked to prom by her boyfriend, senior Ethan Campion. 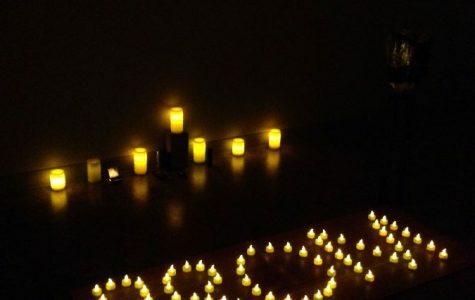 South senior Adam Elbadawi asked girlfriend, senior Audrey Ajlouni, with candles at a yoga studio. Senior Maria Ciaravino asked junior Trevor Mieczkowski with a newspaper because they are both enrolled in journalism courses. Senior Matt St. Pierre asked senior Fran Giacona with pretzels, a play off of The Office episode. 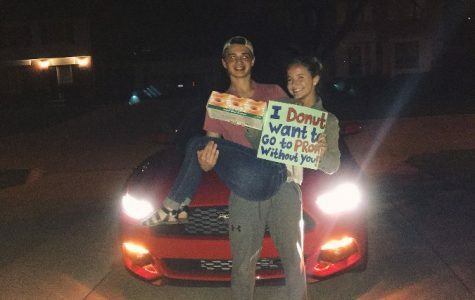 Senior Mary Emerick asked boyfriend, junior Nathan Robinson with donuts. 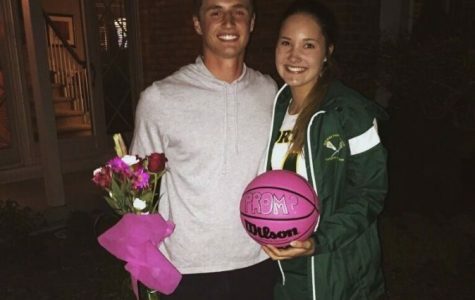 Senior Ryan Reveley asked senior Caelin Micks after her soccer practice. 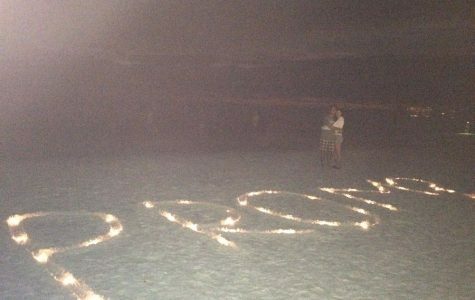 Senior Emily McPharlin was asked by her boyfriend, senior George Mourtos at Student Council States in Traverse City. 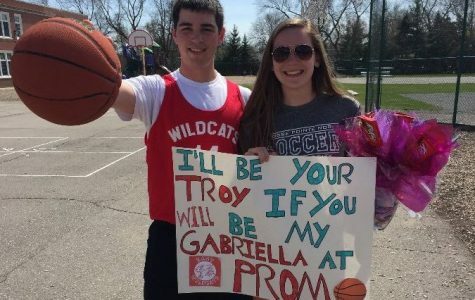 Senior Troy Williams asked his girlfriend, senior Elaina Emig, with a sign and basketball playing off of High School Musical and his name. 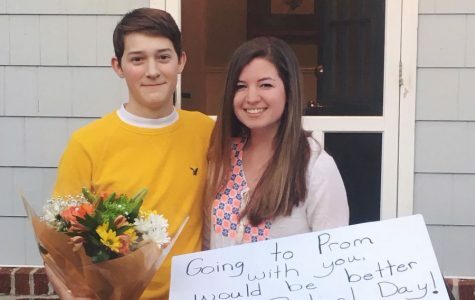 Senior Lucy Dodge was asked by senior CJ Ramsdell with a sign playing off of her last name. 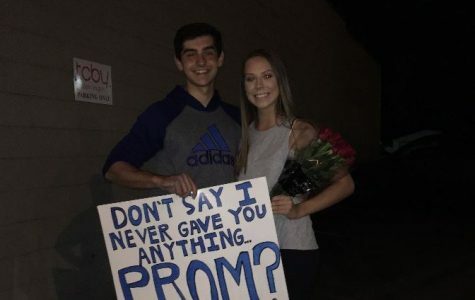 Senior Adam Hilu asked senior Emma Smith outside of TCBY with a sign quoting One Tree Hill. 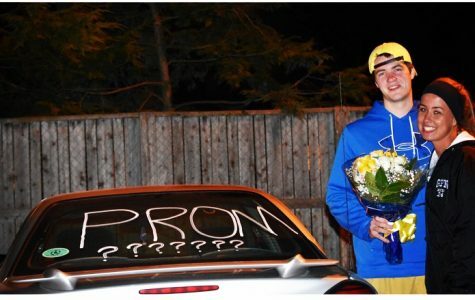 Senior Jack Kennedy brought his girlfriend, senior Lauren Lesha, up to the roof to surprise her with a promposal. 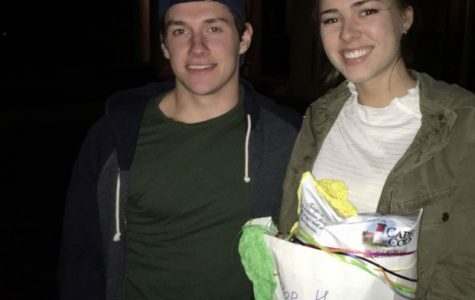 Senior Andrew Tomasi asked senior Lauren Beach with balloons and candy. 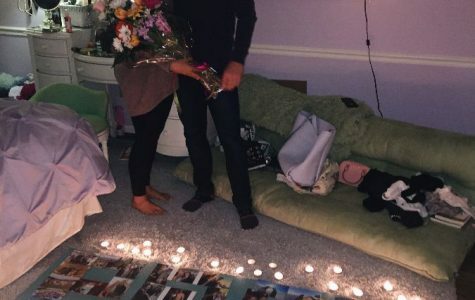 Senior Gabe Korkmaz asked his girlfriend, Regina High School senior Ashley Loeffler. 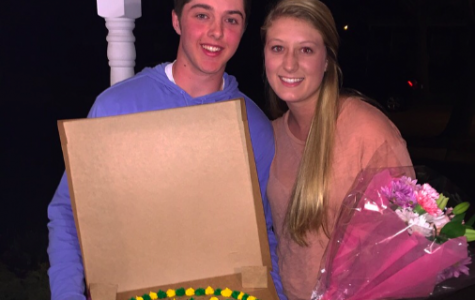 Senior Steven Kent asked junior Hannah Mattes with a cookie cake. 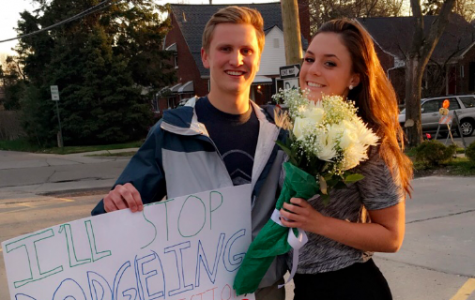 Senior Connor Sickmiller asked his girlfriend, senior Chloe Bigwood. 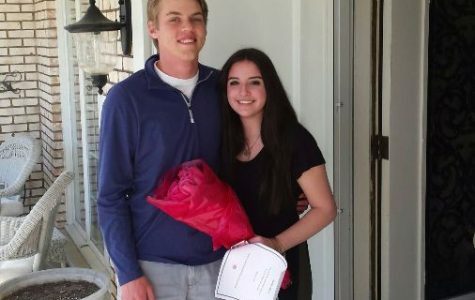 Senior Ben Arnold asked junior Nadya Herfi. 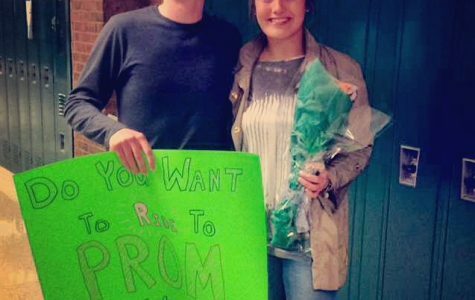 Senior Tommy Heinemann asked senior Liz Gallagher to prom at the Detroit Athletic Club. 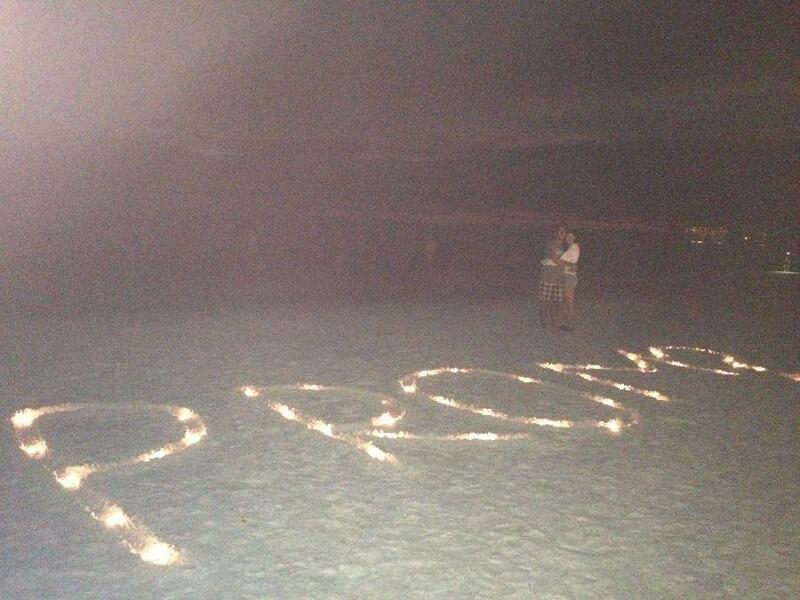 Senior Mitchell Blaine asked senior Nikki Stein to prom. 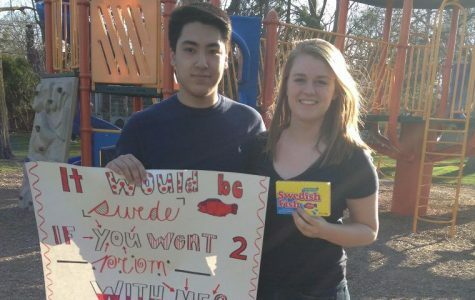 Senior Chris Beeman asked South High School senior Hailey Murphy with her favorite candy, Swedish Fish. 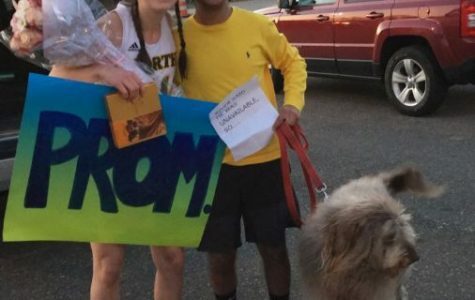 Senior Tommy Essak asked senior Sydney Eger after her lacrosse game with her dog. Senior Kammie Berns was asked by senior Andrew Bunch with a rocking horse because she rides horses. 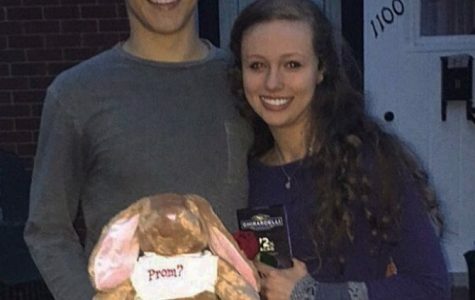 Senior Will McNelis asked senior Michelle Ellis with a teddy bear, roses and chocolates. 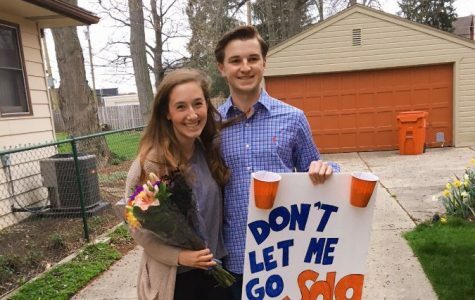 Senior Olivia Bloomhuff was asked by her boyfriend, senior Matt Hilu, after she returned from Student Council States. 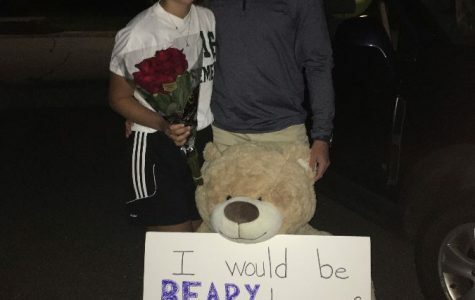 Senior JP Navetta asked junior Annie Eugenio after soccer with a stuffed bear. 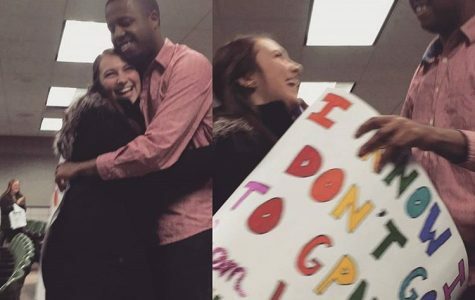 North alumn Trey Burke asked senior Olivia Hoover during a Michigan State tour. 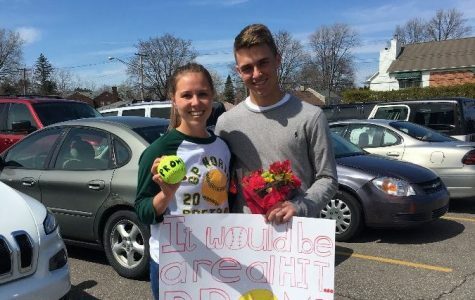 Senior Alex Kracht asked senior Vickie Blaine with a softball themed poster. 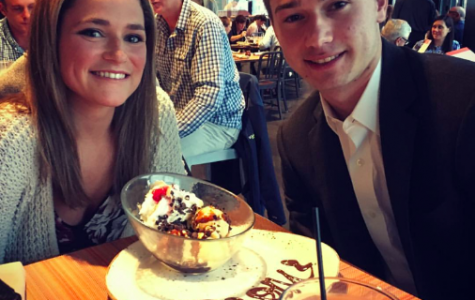 Senior Emily Graham was asked by South High School senior Nick Shankie with an ice cream cake. 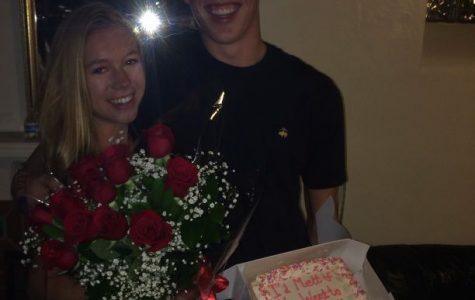 Senior Mitchell Zacharias asked junior Katie Snow with a basketball and flowers because they both play basketball. Senior Jeffrey Valentic asked senior Nicole Valenzano during AP Literature and Composition class. 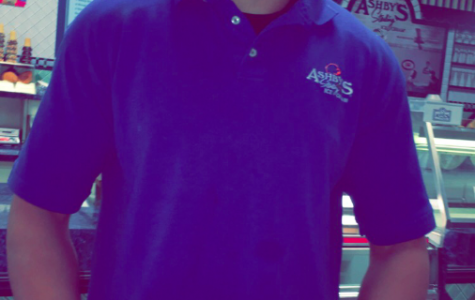 Senior Brendan Nelson asked junior Emme Kensora at Ashby's with an ice cream cake. 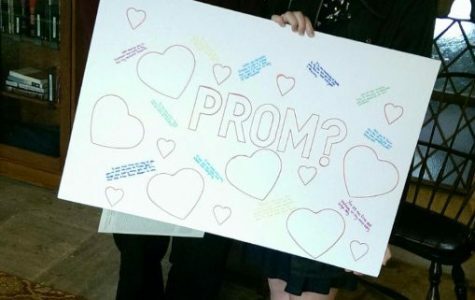 Senior Julia Babcock was surprised in her room by South High School senior CJ Lemanski.